Property Rights: Do they also include Responsibilities? Across from where the writer is sitting there is a rather forlorn and neglected house of considerable size. In its heyday it must have been the home of a prosperous upper-middle-class family. For a number of years now it has been allowed to crumble and deteriorate. It has of late hosted a seemingly variable number of tenants, having been split up into a number of residential flats. 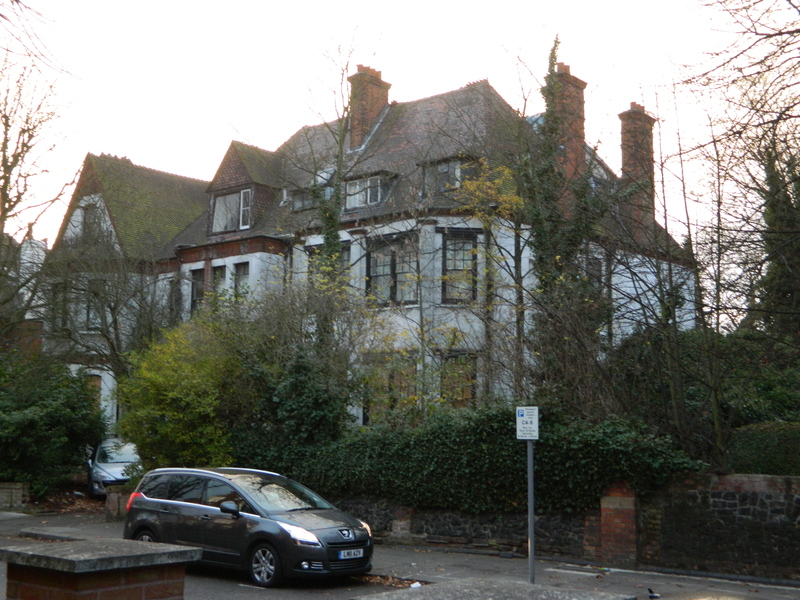 Attempts have been made by the owner, a property company, to have it knocked down so as to make way for what might be a very profitable development. Whilst the plans of the company have been so far frustrated the property has continued to crumble, part of the roof being covered up with a tarpaulin for much of the past year. The company must have had hopes of success in its planning bid, as the property has been emptied of tenants and stripped of items of value, such as mantelpieces. Following this action, squatters arrived. Neglected and now occupied by squatters. Squatters have long caused controversy, providing a regular source of news stories for tabloid newspapers. Well-publicised recent examples of squatters in action include those who have occupied Saif Al-Islam Gaddafi’s Hampstead home or the group that moved into a house a married couple (the wife being heavily pregnant at the time) were renovating. The ensuing debates, such as they have been, seem to focused wholly upon the types of people who tend to squat, portrayed as middle-class students and graduates. The MP for Hove, Mike Weatherley, has successfully campaigned to secure an amendment to a recent Justice Bill that might criminalise squatting. Some consider it a basic human right to have a roof over one’s head, somewhere to call home. This tends to come about through ownership or renting, if not by provision of government or some charitable body. Within the UK it is considered an important measure of success in life to own, albeit with a large mortgage, some house-property. A well-known phrase, ‘An Englishman’s home is his Castle’, sums up the perceived importance of this notion. The right to have somewhere to call ‘home’ cannot reasonably be gainsaid. What is often lacking in debates on home ownership, and in that on squatters, is any sense of the responsibility that comes from property-owning. A property does not exist in isolation from the community in which it is situated. One that is allowed to fall into decay has a negative effect upon the community, not only in aesthetic terms, but also in the very sense of the shared community itself. Neglected properties arguably incite crime and vandalism, even if we allow that squatting is currently no crime. Decaying properties tend not to be in the hands of owner-occupiers, but rather of investment and development companies, not to mention public bodies such as universities and councils. The occupation of such buildings by squatters cannot be deemed a solution but it does highlight the deficiencies of such owners. Many other properties which are occupied by squatters are often awaiting renovation that looks to some future occupancy, or empty due merely to unforeseen circumstances. To leave properties intentionally empty without such plans for re-use is arguably as anti-social as squatting midway through renovation. It might well be considered draconian to legislate in order to make ownership of a building that is not soon to be occupied an offence. The tool of legislation is indeed often both ineffective and unnecessary. The solution surely lies in highlighting and drawing public attention (with due means if making disapproval clear) to the responsibilities of property ownership. Far too often public debates have been focused only upon rights, basic or accrued.